I have been struggling to blog recently due to a number of reasons that there is no need to go in to right now....although I'm sure I will do at some-point...perhaps in a 'November round-up' post or something like that! 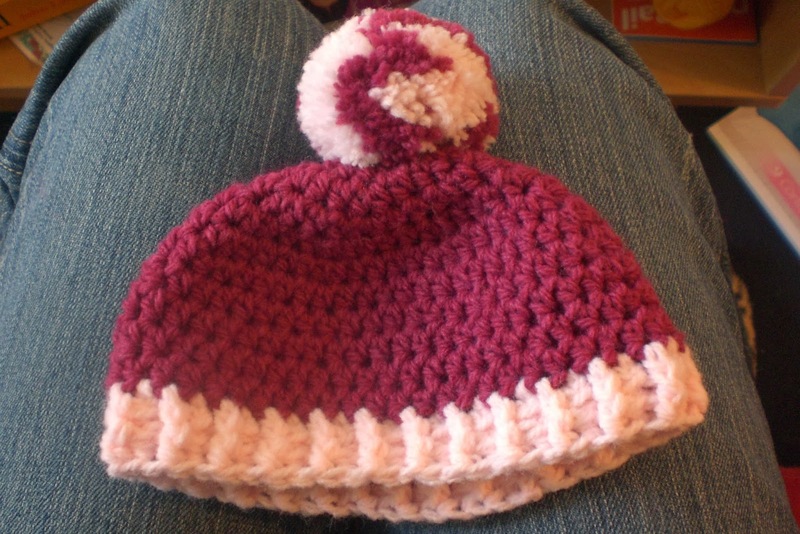 Following the basic guidelines on Kat's brilliant tutorial on hat design. I made a basic hat in Sirdar super soft aran, finished of with a couple of rows of ribbing in a light pink colour. Then came the best part.....the pom poms! I'm pretty pleased with it considering I envisaged the design in the early hours of the morning. I never would have thought it would be something as inconsequential as hat design keeping me awake at night, but I should be thankful for that I guess! I hope you all had a great weekend, and have a fantastic week to follow. Oh doesn't real life get in the way of blogging. Your hat looks really pretty. The swirlly pompom is really cute. I hope the craft fair goes really well. Thanks for popping by my blog. You asked about the yarn and pattern. The yarn is SMC Bravo Jazz Color - Hawaii - 173 bravo jazz color. You can find it online at Black Sheep Wools for the bargain price of £3.99. It's great to work with. The pattern is similar to Sarah Freeman's Track Stitch Cowl. She is very generous she will let you make up the pattern to sell as long as you acknowledge the pattern is hers. Lovely to see some new faces at Handmade Monday. Hi Ali, yes it really does. I always underestimate how long it takes to write a blog post from the idea to the making to the photos and actually writing it. Thanks for the info on the cowl. 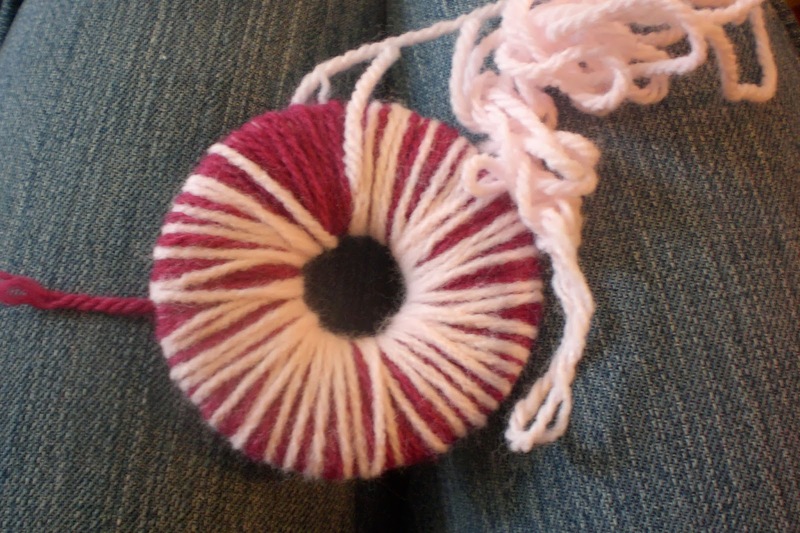 I'm going to look the pattern and yarn up this evening. Will let you know how I get on! 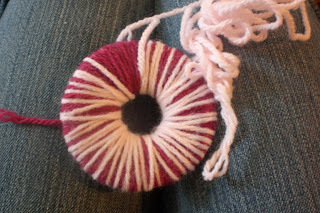 That swirly pom pom is lovely, the perfect top to your hat. 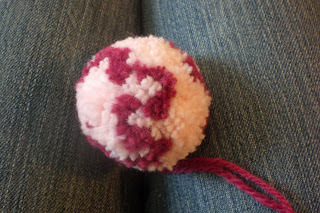 Pom poms always take forever whenever I try to make them. I hope you feel more in control soon. So cute - I'm sure it will sell quickly! I hope your first fair goes well for you.